ST. GEORGE — Shredded paper burns hot and fast. 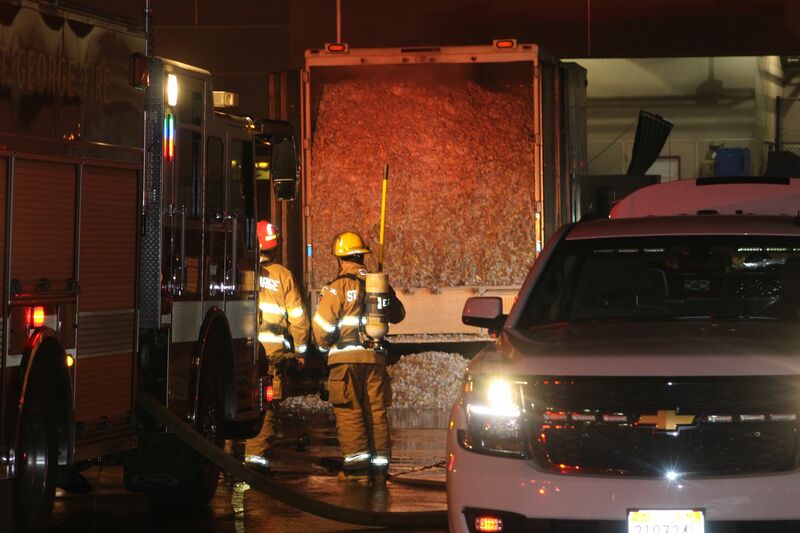 When a paper shredder truck was reported on fire just before 7 p.m. Monday night at Dixie Regional Medical Center, local departments scrambled to bring the situation under control. Stoker said the shredding mechanism malfunctioned, setting the paper on fire. 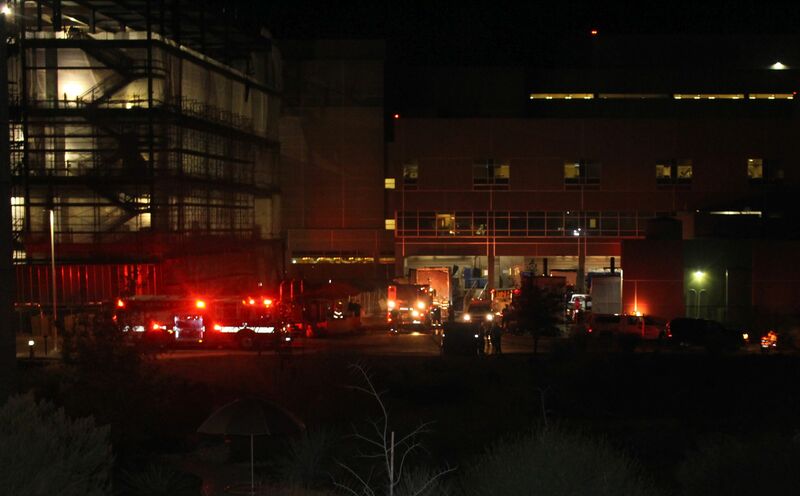 Smoke was entering into the hospital from the truck, Stoker said. He put out a general alarm which brings all the fire stations available to the scene. Four engines and a ladder truck responded. Stoker said that the truck being so full was a good thing, as there was less room for oxygen to move around in the truck and feed the fire. He added that crews attempted to move the truck, but air lines had been melted, rendering the truck unmovable. The streets department was bringing a loader down to help unload the truck. Another truck from the Las Vegas company was en route to pick up the paper from the damaged truck. Stoker said the truck sustained substantial damage and once emptied would be towed from the scene. No damage was reported to the hospital and no injuries were reported. Units from the St. George Fire Department, the St. George Police Department, and Gold Cross Ambulance responded to the scene, assisted by DRMC security personnel led by Emergency Management Program Manager Steve Ikuta. The question needs to be asked; Was there any unshredded product in there? Is there now some sensitive information out somewhere? Even with a bit of fire damage, this could provide some identification information. anything from Hillary Clinton in there ?